The history of Man Roland printing machinery goes back to 1845 with the manufacture of Man Roland first automatic letterpress machine, by Carl August Reichenback, in Nikolaus Hartmann's printing plant in Augsburg. In 1872, a complete newspaper printing plant was set up with steam boiler and steam engine. In 1873 the machine for printing continuous paper from a reel, was presented at the World Fair in Vienna. In 1911 the first Roland sheetfed offset press was built and from that time it was a continuous process of development of Roland printing machinery. 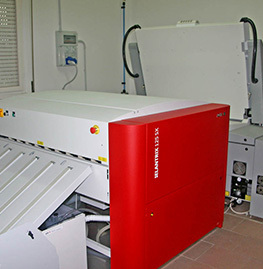 In 2010 Man Roland ventured to digital printing and at end of same year they produced the first 96-pages webfed printing system Lithoman. Today Man Roland is one of the strongest manufacturers of leading printing machinery in Germany and caters to a global market. Due to the unprecedented development of technology of the printing industry, Man Roland also keeps up with innovations improving their Roland printing machinery to maintain the top place in the printing manufacturing industry. Man Roland has won many accolades from the printers all over the world and now it has become a major printing machinery supplier to the world printers. Man Roland popular printing machines are used extensively and the second hand market for Man Roland machines grows daily due to new printing companies joining the industry. GAB Supplies is one their leading distributors for new machinery as well as reconditioned used Roland printing machinery. Used Man Roland printing units and re-condition Man Roland machines to their original performance standards along with a brand new look. This is made possible by our dedicated team of experienced and well qualified engineers in GAB workshops. Printers world-wide tend to make a good bargain by buying a reconditioned Man Roland printing machine from us as they have to pay only a nominal price in comparison with the brand new price. Our reconditioned Roland units provide customers with the same performance as that of a brand new Roland printing machine, due to the high technical knowledge of our top class engineers who attend to overhaulling of Roland Printing Machines. Engineers at our workshops never compromise on the standards when we purchase a used Man Roland printing machine. Each Roland printing machine is thoroughly checked by a team of our engineers and technicians before we decide on purchase of a used Man Roland printing machine. 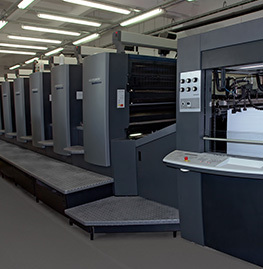 Due to GAB's high level of connections and cordial relationship with Printers using Man Roland printing machinery globally, we are able to obtain good quality used Roland printing machines from printers, to recondition them as new by using our Engineers' latest technological methods. When used Roland Machines are brought to the GAB work shop, they do undergo rigorous tests by our engineers to ascertain which parts need to be replaced. We ensure that worn out parts are replaced by Man Roland original parts and we never opt for cheaper duplicate spare parts in the market, as we want the best for our valued customers, who buy reconditioned Man Roland printing machines. A new coat of spray paint is also given, if it is required, for Roland Machinery to bring out a brand new Roland original look as well. Customers can demand any special requirement on a used Roland machinery; colour changes etc., we will provide all solutions to meet the customer satisfaction. 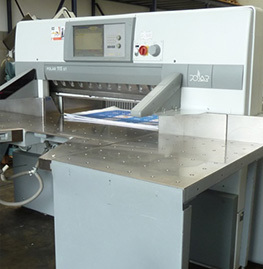 If you are looking for a brand new Man Roland printing machine, or a used one or a reconditioned unit of Man Roland, do not waste your time in searching at other dealers, just log on to our web site, www.gabsupplies.co.uk, and look up our catalogue of Man Roland Printing Units â€“ you will not be disappointed! A simple e mail inquiry will be answered in shortest time â€“ that is our promise at GAB Supplies.